And it gives the hand back. I reboot by typing 'exit', and the update has gone. When you want to use google maps on a website, you need to signup and get a key for the internet domain name that will use google Maps. And you may code some google feature for several sites, and all these sites, you often code it on your computer with a local Apache/Php or Tomcat server. So in you html (jsp, php, asp whatever) page you'll include the following code to have access to the google maps feature. Get the key, put it in your html code, and then edit your etc/hosts file. toms-projects will be located at 127.0.0.1 by the machine dns client, and thus point to your local website. And google sees the api key used for the toms-projects domain. 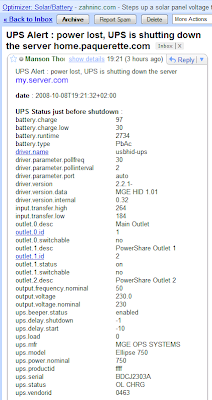 It will work as well, but beware, as long as you /etc/hosts file will be configured that way, mysupersite.com will be your computer ! Here is quick tutorial to enable transaction in a Spring project using JdbcTemplate and Java 1.5 Annotations. I'm using Spring 2.5.2, Java 1.6. Here, among other things, I include a dao.xml and a services.xml beans definitions files. dao.xml defines jdbc related things, and, services.xml some beans that use the jdbc things. Also, I use XML namespace and XSD instead of DTD, because it will be needed after. Besides the usual dataSource and JdbcTemplate, I add a transactionManager and the tx:annotation-driven bean. This last will do the job of examining your beans for annotations. The transaction Manager is here to actually manage the transaction where tx:annotation-driven tells to do so. Notice that 1 namespaces and and 2 xsd locations has been addded for the tx namespace prefix. return jdbcTemplate.queryForInt("SELECT last_insert_id() from `"
I've changed nothing but the Java 1.5 annotation that tells the TransactionManager that a Transaction is mandatory here (Required), and it should rollback on any exception that is derived from java.lang.Exception. Here, I set up the transaction, in order last_insert_id query can work. Without a transaction, Spring can use a different connection between the insert query and the last_insert_id query, and in that case, this last query would return 0 instead of the last inserted id. Nowdays, email takes a huge amount of space, that you need to backup... 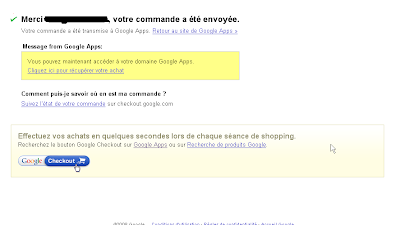 So we decided to migrate our client to google Apps : 7 servers to handle your mail, 25Go of space, a simple and very powerfull web interface with the ability to still use imap. 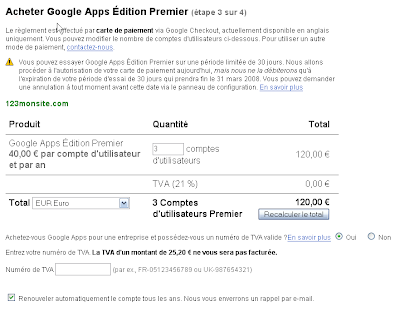 You'll find here how I set-up Google Apps Premium for the domain 123monsite.com. You should plan this operation at the beginning of the weekend to minimize any potential issue. 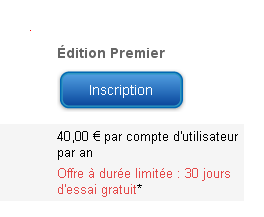 I click on "Inscription" on the Premier Edition. You'll notice the warning message that tells you to confirm that you really are the owner of the domain. I choose to use the CNAME dns modification. And I click on verify. It's then says it can take up to 48h : it's the time needed to the DNS update to be propagated. 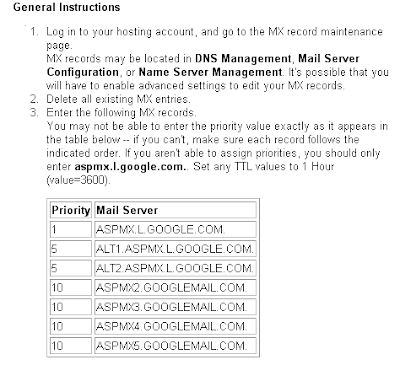 Then we need to set-up the MX of this domain so that mails are routed to google mail servers instead of our previous mail server. 123monsite.com. 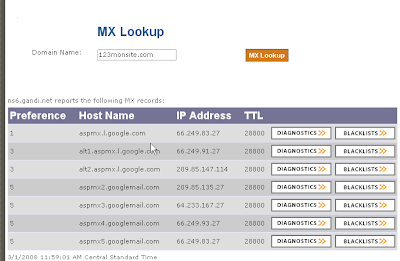 IN  28800 MX 1  ASPMX.L.GOOGLE.COM. 123monsite.com. IN  28800 MX 3  ALT1.ASPMX.L.GOOGLE.COM. 123monsite.com. IN  28800 MX 3  ALT2.ASPMX.L.GOOGLE.COM. 123monsite.com. IN  28800 MX 5  ASPMX2.GOOGLEMAIL.COM. 123monsite.com. IN  28800 MX 5  ASPMX3.GOOGLEMAIL.COM. 123monsite.com. 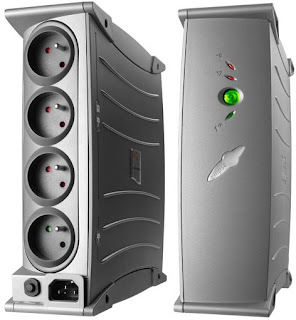 IN  28800 MX 5  ASPMX4.GOOGLEMAIL.COM. 123monsite.com. IN  28800 MX 5  ASPMX5.GOOGLEMAIL.COM. 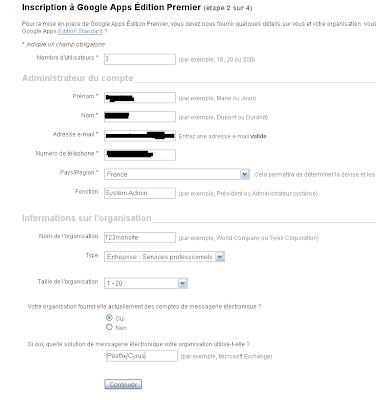 Now, it's done, add you're other user with the web interface and you should recieve your mail on this domain in the google interface. I've tested... it's working right now, even if the domain verification is not yet achieve. I finally used an html file verification too, to be quicker. 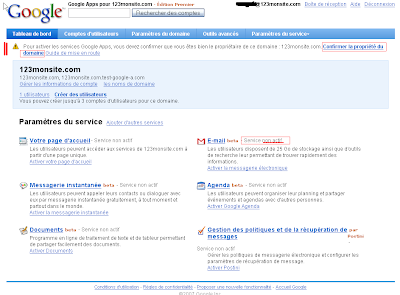 In about one hour of work, I've migrated my mails to google server... great !